The International Institute of Weddings provides some of the most in-depth professional training available in the wedding industry, both at entry level as well as more advanced levels. We offer intensive and fully comprehensive home study courses in Wedding Consulting, in addition to a variety of other areas of specialization within the wedding industry. Our mission is two-fold: To provide the wedding professional with the most thorough and practical education possible, in addition to providing ongoing opportunities for professional development and advancement; and to produce exceptional service providers and professionals for the couple who is preparing for what is likely to be the single most important event of their lives. In producing better, more knowledgable, qualified, and committed wedding professionals, we can help produce better weddings! The long term, abstract, “macro” aim of the Institute is to elevate the level of skill, commitment, ethics, and professionalism within the industry so that, ultimately, increasing numbers of couples walk away with memories of weddings which went off without a hitch, and surpassed even their own most imaginative dreams. For this to happen, it must start with the wedding professional. 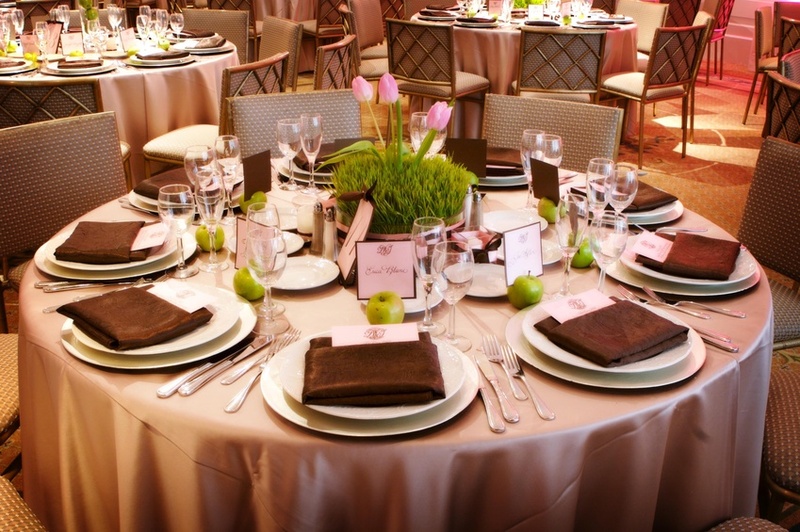 Founded in 1999, The International Institute of Weddings is directed by wedding expert Linda Kevich. Ms. Kevich has enjoyed a career in the wedding industry since 1991. She has assisted thousands of brides and grooms in planning the weddings of their dreams over the last decade. 1999 Ms. Kevich also founded SuperWeddings.com, which was one of the earliest wedding websites online and went on to become a popular online wedding guide visited by millions of brides and wedding planners from around the world for over a decade. She writes extensively on the subjects of weddings and the wedding industry and has been quoted by many major media outlets including USA Today, The New York Times, The New York Daily News, The Chicago Tribune, The Wall Street Journal, Brides Magazine, The Financial Times (London), The Globe and Mail (Canada), Chatelaine Magazine (Canada), The Boston Globe, Womens World Magazine (Australia), The Associated Press (multiple times), Reuters (multiple times), as well as countless others. The Institute also administers a trade association for wedding professionals who are dedicated to the highest standards of professionalism which the Institute represents; who share our goals of elevating the level of excellence within the wedding industry; and who are committed to improving themselves through on-going professional development and enlightenment. Read more information on the professional association. All wedding professionals will find benefit and support with the International Institute of Weddings – be they home based or store front, large operations or small, on-line or traditional, newcomers to the industry or well established major players. We are committed to bettering wedding businesses of all shapes, forms and sizes; in all countries through out the world, and in all sectors within the industry. Further, we do not limit membership to only those professionals who have trained through the Institute – all wedding professionals who share our philosophies and ideals are welcome to apply for membership. Read more information on the professional association. Linda Kevich has worked closely with wedding professionals across the world in launching, developing, and expanding their wedding careers and businesses, and continues to keep her finger on the pulse of the bridal market through ongoing daily interaction with brides and grooms-to-be, their families, and bridal party attendants. She is heavily involved in developing all training programs offered by the Institute and in directing the Professional Development Division. Her courses have been used by wedding consultants and students internationally. Her experience and expertise in the wedding industry also span the areas of retail, wholesale, mailorder, floral design, headpiece and accessory design, and bridal show production. Ms. Kevich’s formal educational background on the university level was carefully planned with her intended career in the wedding industry in mind – and clearly it has served her well. She studied Human Ecology (Home Economics), specializing in fashion design and merchandising – with an obvious emphasis on bridal. Her curriculum also included studies in marketing, communications, design, marriage and family dynamics, sociology, and psychology. Following her university education she studied to become a professional bridal consultant and went on to launch her own business and ten year career in the wedding industry. Her warm, approachable manner and genuine love of weddings, and the industry as a whole, has earned her the admiration and endearment of brides-to-be, as well as other professionals and peers in the wedding industry. Ms. Kevich also shares her expertise with other members of the wedding industry as a business and marketing consultant, and has authored numerous industry-related training materials and business guides.